Smartcar - Ettrics. Digital Agency. 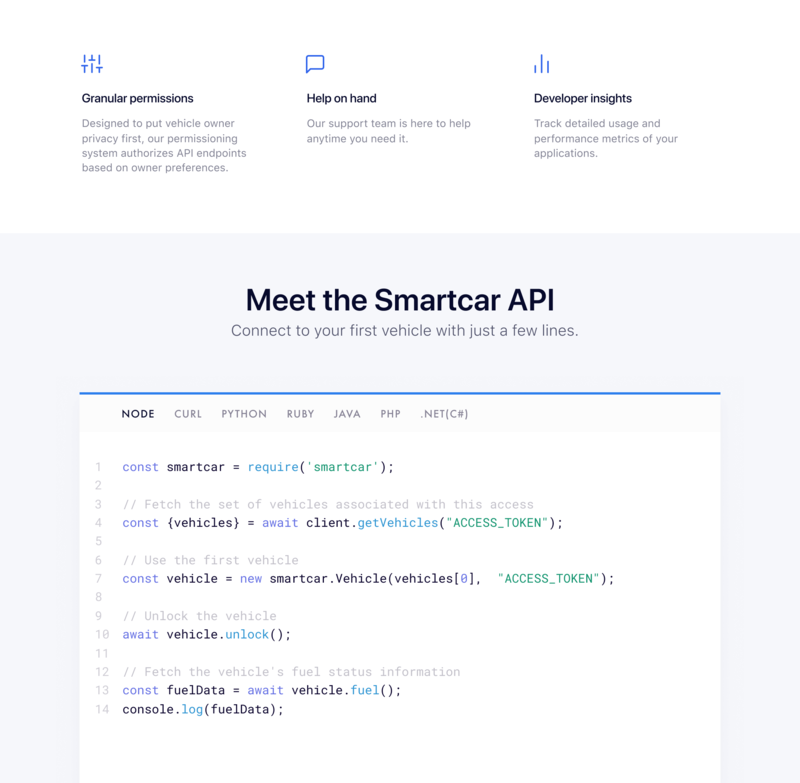 We designed and developed a new static website, CMS and scalable visual design system to better inform Smartcars connected car API developers. 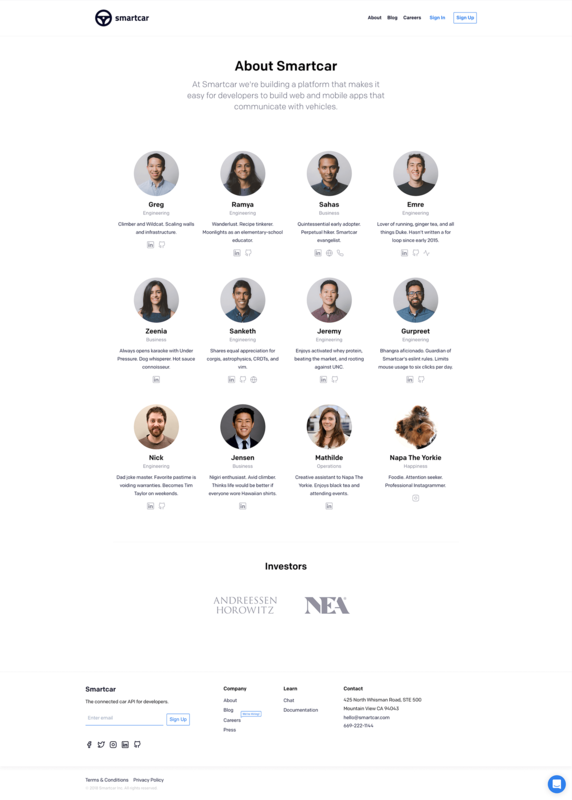 Website design & front-end development. Mobile app examples for developers.